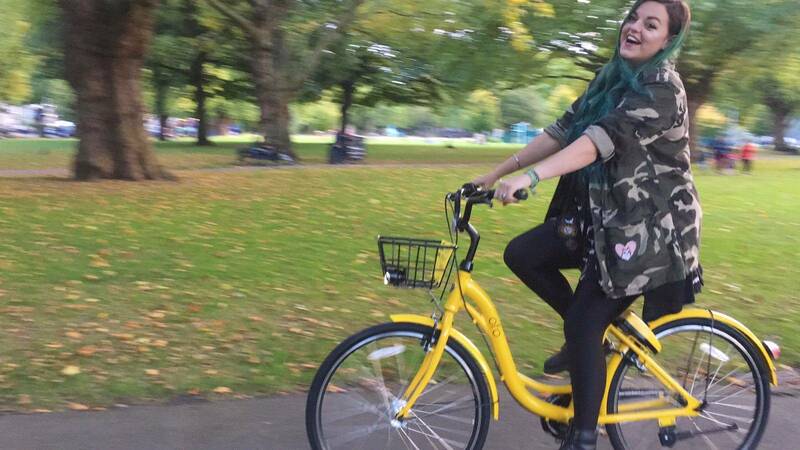 See ya later ‘Boris Bikes’, there’s a new snazzy yellow bicycle in London town thanks to ofo! 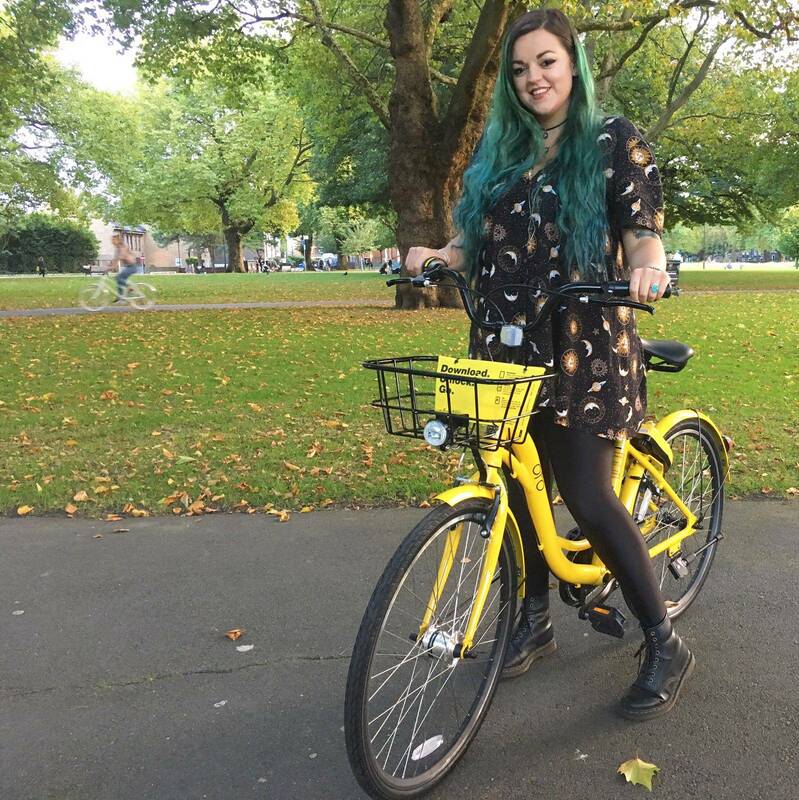 You might have already spotted the recogniseable bright yellow bikes, bringing a pop of colour to East London, and they’re completely free to try out until Tuesday 10th October. I’ve always been a huge lover of cycling, allowing you to easily get from A to B, see the sights, feeling the wind in your hair and all that jazz. But owning and storing a decent bike in London is tricky, because let’s face it, who has the space to store one safely off the road? And who is trusting enough to lock it up in a designated bicycle area on the street outside your house? Well, ofo has come to the rescue! I know Boris bikes have been around a fair while, however they are chunky, have to be left in/picked up from a specific Boris bike docking bay and… They don’t have a basket. The beauty of ofo bikes is that they are lightweight, lovely to ride, don’t have designated pick up/drop off points, and have a basket! Using the app (that’s free to download from the app store) you can locate your nearest bike, unlock it by scanning a QR code (or inputting a unique 4 digit unlock code), and the lock on the back wheel slides open and you’re good to start your journey. 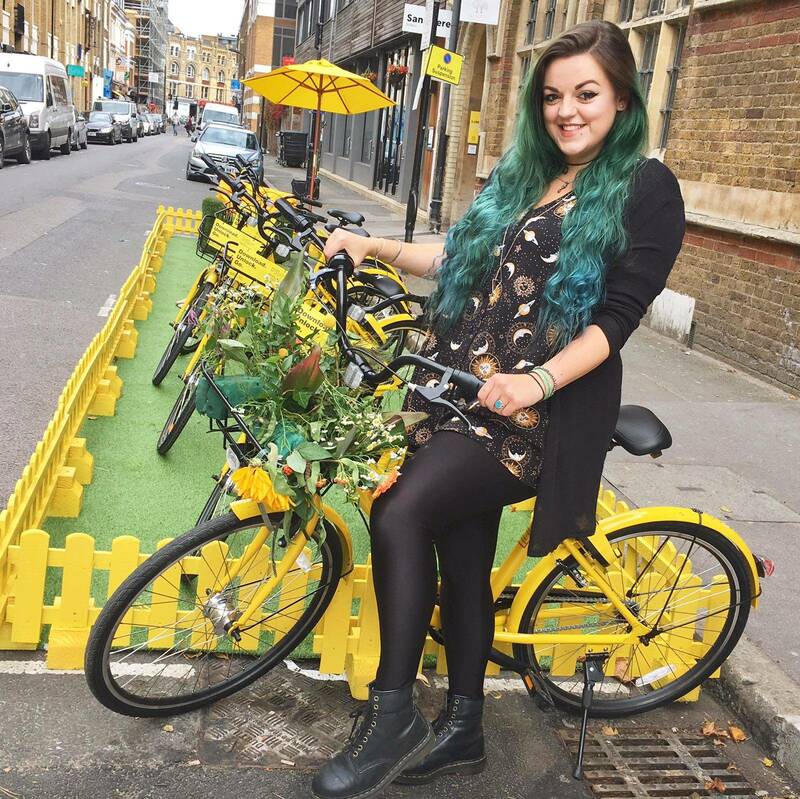 My housemate Starzi and I gave the ofo bikes a go recently, picking up a bike each from a ‘parklet’ area on Leonard Street just near Old Street station (example “parklet” area in the pic above). As we were both a little unsure about cycling in London on the main roads, we opted to stay in the back streets, then along the canal into Hackney to get some food. The cycle along the canal was just lovely, culminating in a sit on a bench eating dinner (a delicious selection of Vegan treats from Temple of Seitan) in London Fields. 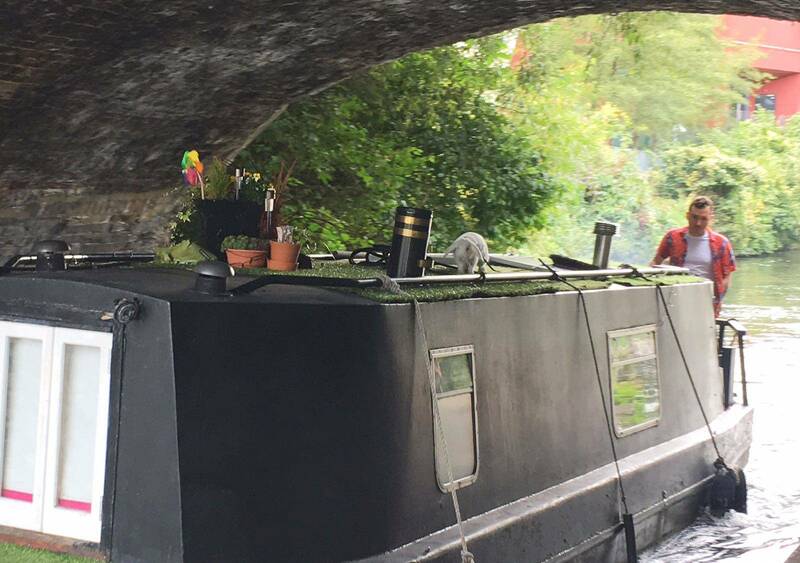 On our journey we spotted a pretty magical sight: a bunny hopping about on the roof of one of the canal boats (her name is Debbie) – check out how cute she is in the pic below (gutted I didn’t get a better photo)! 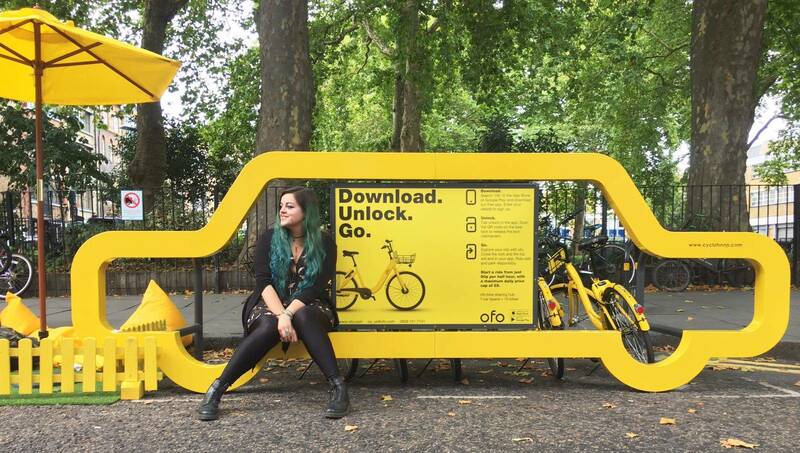 The ofo company was founded in 2014, and the bikes can be found globally in loads of countries including: China, US, Singapore, Austria, the Czech Republic, the Netherlands, Thailand, Japan, Russia (to name a few) and now in UK too! In England, Cambridge was the first city to get them, closely followed by Oxford and now London Hackney. I found the bikes and app so easy to use, and incredibly convenient. We didn’t need to find a bike rack to lock the bikes up when popping to get our food, or sitting in the park. By selecting “end journey” on the app, you’re able to slide the lock closed, and leave the bicycle where it is. 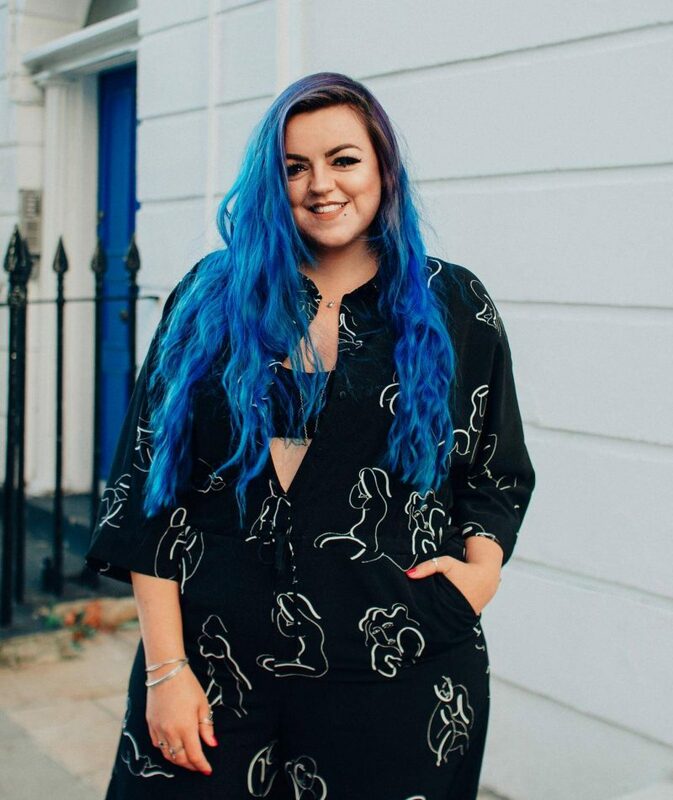 They’re currently completely free to try out once you register your details on the app. Once they’re no longer free, they’re still pretty affordable at 50p for half an hour, capped at £5 per day. At the moment they’re only available to pick up in East London, however you’re allowed to cycle wherever you want. Bare in mind that the bikes have GPS, and when you’re finishing your journey you have to leave them in the designated zone (which is clear on the map on the ofo app). 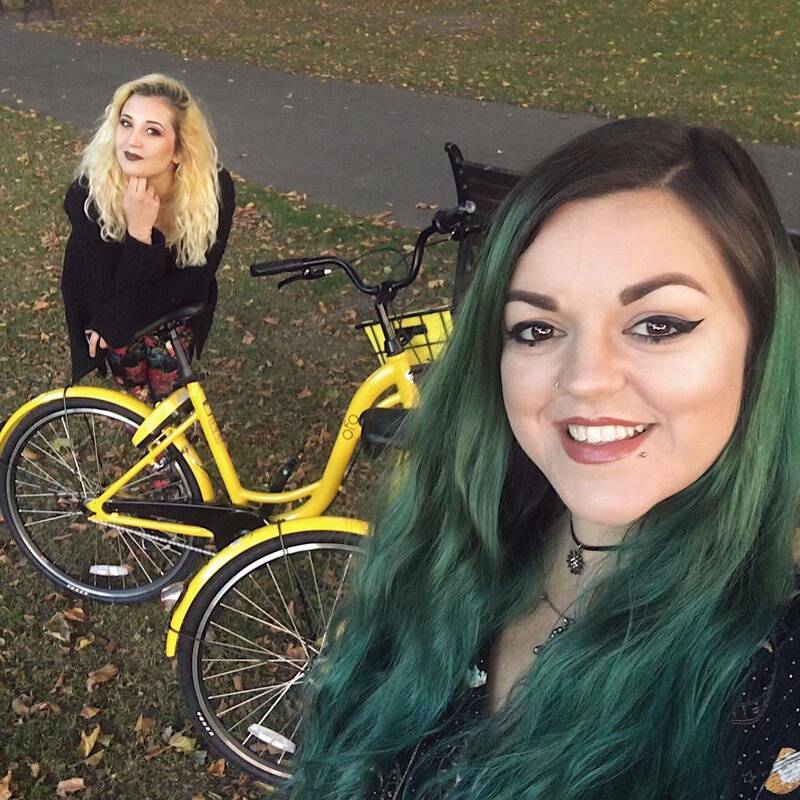 I’ve been able to experience the ease and convenience of the ofo bikes, having used the app and hired a bike for several short journeys since mine and Starzi’s first time trying them! It’s just so easy locating one near most East London tube stations I’ve been to, allowing me to cycle to my final destination super speedily. I’m all about trying new ways of getting around and exploring the city, remember my GoBoating Canal adventure? I’m really looking forward to another ride soon enough, perhaps in Oxford or Cambridge instead, and in the meantime desperately hoping the ofo bicycles get introduced to more areas in London… Camden next please! Download the app for free here: on iPhone or Android, and check out the ofo website here.